LG V30 Release Date, Price, Specs, Features, Rumors, News & Updates: LG G6 was a great deal for smartphone users though the specs were similar to Galaxy S8 and S8+. But the South-Korean tech giant is not satisfied with yet. LG will display its new smartphone V30 in 2017 and its specifications may interest you. 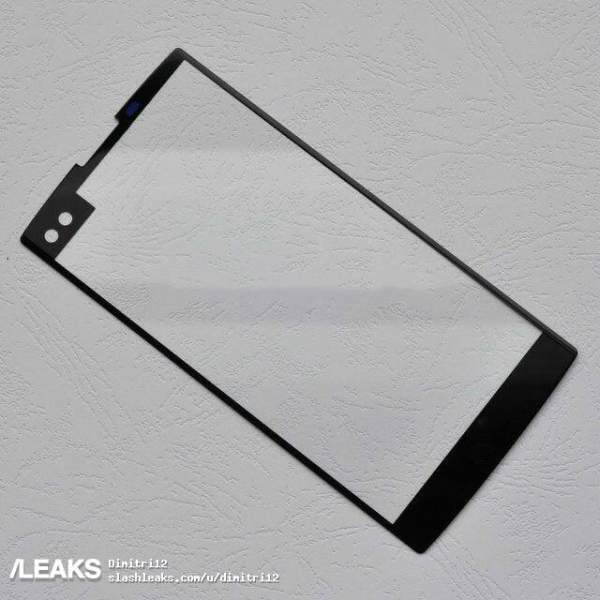 As seen in the picture of the front panel of the device, we can clearly see 2 cutouts for selfie camera which draw our attention to dual lens front-facing camera on the smartphone. Although the previous model V20 already has dual lens rear camera which increases the possibility of 4 camera layout in the upcoming smartphone. There is also a possibility of secondary display on the top of the primary display. The leaked front panel image has another cutout which could be for the addition of this feature next to dual lens selfie camera. It seems to be a great news for smartphone photography aficionados. Check: LeEco Le Pro 3 AI Edition Price. Now, LG‘s always-on display feature had been a useful feature among users so if V30 would be packed with this feature users will have another decent reason to try this phablet. It separates LG’s V-series from its competitors. Going towards more specs, rumors say the device will come with Qualcomm Snapdragon 835 SoC processor with 6 GB of RAM. It will sport improved DAC. There is no info regarding its internal storage capacity. If all these specs come out to be true then this device will take the spot of real flagship device by the company in 2017. No actual release date for LG V 30 has been announced yet so keep visiting our site for every update.